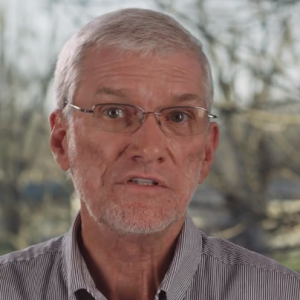 PETERSBURG, Ky. — Ken Ham, the founder and president of the biblical creation and apologetic ministry Answers in Genesis (AIG), will file a federal lawsuit this week against officials in the state of Kentucky for denying its upcoming Ark Encounter participation in the state’s sales tax rebate incentive program. In a video released on Tuesday, Ham spoke with Freedom Guard attorney Mike Johnson about the suit, which surrounds its soon-coming amusement park based on the Book of Genesis. As previously reported, the state of Kentucky has an incentive called the Tourism Development Act, where new attractions in the state can receive a partial refund of the sales tax paid in an effort to reward organizations that help increase tourism. AIG was initially approved for the rebate, but following outcry from atheists and church-state separation groups, the decision was overturned. State officials say that the hangup they have over allowing the rebate under the tourism incentive is that the Ark Encounter is religious in nature. He outlined that the federal courts have ruled that once a benefit is made available by the state to all within its borders, it cannot legally refuse an applicant simply because of their religious character or beliefs. Gov. Steve Beshear also told reporters last year that the state had rescinded its initial approval for the sales tax rebate because the Ark Encounter planned to hire only Christians, which he viewed as being discriminatory. But Johnson noted that the 1964 Civil Rights Act allows religious groups to specifically hire those who share their faith, stating that “it is not an unlawful practice for … a religious corporation, association or society to hire an individual on the basis of his religion to perform work connected with the carrying on by such corporation, association or society of its religious activity.” He advised that the state of Kentucky has a similar statute. Ham says that the lawsuit was a last resort, as AIG had sought to work out the matter with the state for some time. Ham also clarified that despite claims, AIG is receiving no state money—and thus no taxpayer funds—to build the biblical theme park.